Open files with file extension WAV - WAV player. will play .WAV files right away. WAV files are audio files. Waveform Audio File Format (WAVE, or more commonly known as WAV due to its filename extension), is a Microsoft and IBM audio file format standard for storing an audio bitstream on PCs. Final Media Player will allow you to play them on your Windows PC. 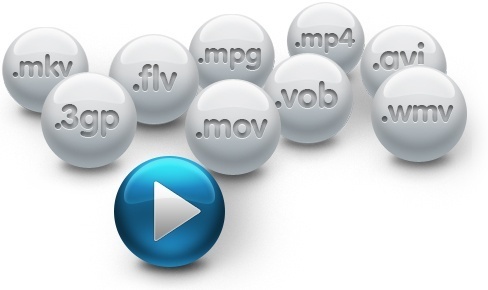 Final Media Player enables you to play 40+ types of video files like WAV, 3GP, 4XM, ANM, ASF, AVI, BIK, CDG, CDXL, CPK, DIVX, FLV, GXF, LVF, LXF, M4V, MKV, MOV, MP4, MPEG, MPG, MV, MVI, MXF, NSV, NUT, NUV, OGM, OGV, PMP, RMVB, ROQ, RPL, SMK, SWF, TXD, VMD, VOB, WMV, XMV, XVID and YOP.